1 in 8 adults are carers, but we rarely get to hear their stories first-hand. Since 2014, Carers UK have held an annual creative writing competition to change this and explore what it really means to care. 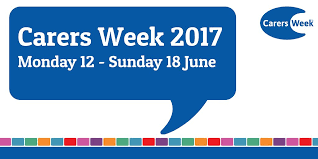 As this week is Carers Week, we want to encourage people in caring roles to enter the competition and share their experiences. Over 1,000 entries have been submitted from a huge range of people, from experienced to first-time writers, and this year for the first time the competition has expanded to include photography. Winning and commended entries go on to be published in the Carers UK anthology, and from 2017 a new photography collection, to raise awareness for carer’s experiences. Past contributor Wendy Orr commended the competition, saying "it’s a great support for carers to have a competition reflecting so many perspectives”. From portraits to selfies, Carers UK are welcoming entries of photographs on the theme of ‘This is caring’ writing on theme of ‘This was not in the plan’. Caring often happens unexpectedly and the competition hopes to capture the hidden joys, challenges, and day-to-day reality of looking after someone. The deadline for entries is Monday 31 July and the winning and commended poems, stories and photographs will be announced in September. There are 700,000 informal carers for people living with dementia in the UK, so providing free quality-assured support to the friends or relatives that find themselves in this role is essential.